ARRANGED CHRONOLOGICALLY BY WAR AND RANK (IF KNOWN). WITHIN EACH SECTION, ALPHABETIZED BY SURNAME, THEN FIRST NAME. A GUIDE TO RANKS---(OFFICERS) General (Gen), Lieutenant General (Lt Gen), Major General (Maj Gen), Brigadier General (Brig Gen), Colonel (Col), Lieutenant Colonel (Lt Col), Major (Maj), Captain (Capt), lst & 2nd Lieutenant (Lt). When Ensign (Ens) is used it also equates to Lt.
* Stephen Coolidge (1639-c1710): Uncle of Sarah Coolidge, wife of Samuel Hastings, son of Thomas & Margaret (Cheney) Hastings. He served at Billerica under Lt Edward Oakes and later in the company commanded by Capt John Cutler. John Hastings (1654-1718): Brother of Thomas below. He served under Capt. Daniel Henchman (Sept. 1675), Capt. Joseph Syll (Jan. 1675), probably Capt. Nathan Davenport (Nov. 1675), and Lt. Edward Oakes (April 1676). Capt. Benjamin Hastings (1820-1808): Husband of Abigail Sawtell and they lived together in Bolton, Mass. Commanded a company of men from Bolton, Lancaster, Harvard and Leominster under Col. Abijah Willard’s Regiment. He was dismissed circa Sept. 1760 for “mutinous behavior.” He also served as an officer during the Revolution (see below). Descent from Thomas the immigrant, if any, not yet established. Ens. Seth Hastings (1722-1775): Son of John & Mary Hastings. Served as an officer during the war. Benjamin Hastings (1731-c1758): Son of Benjamin & Mary (Taynter) Hastings. Served in the Indian War and died at Montreal, in captivity, circa 1758. Nathaniel Hastings, Jr. (1738-1820): Son of Nathaniel & Esther (Perry) Hastings of Shrewsbury/Boylston Mass. Served in the Mass. Militia and probably the same as Cpl. Nathaniel who marched with Col. Oliver Wilder towards Ft. William Henry in 1757. William Hastings (1742-c1758): Brother of Benjamin. Served with Capt. 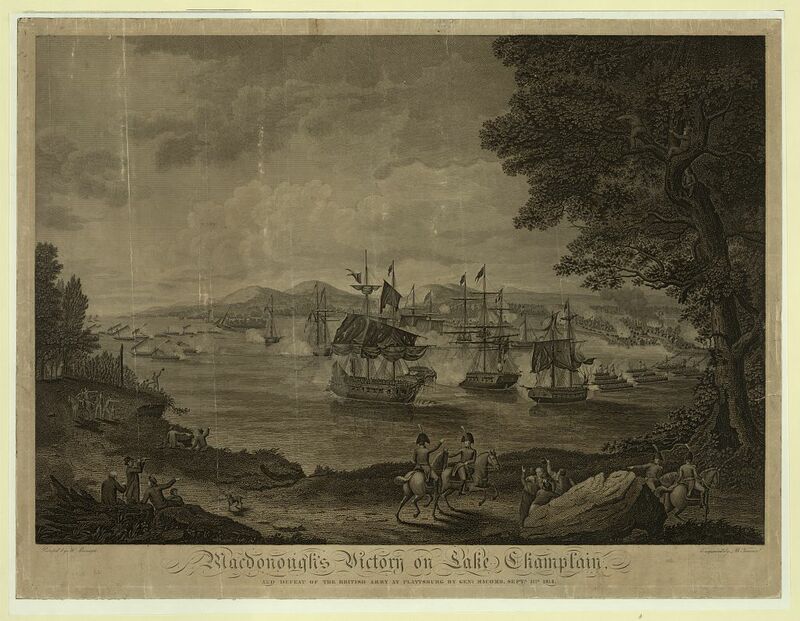 Jonathan Brown’s Company at Lake George in 1758. * Maj. Gen. William Shepard (1737-1817): In May 1775 he was commissioned( a Lt. Col. in Timothy Danielson’s Mass. Regt, where he helped defend Boston during the siege. In Jan of 1776 he was given command of the 3rd Continental Infantry. He endured the brutal winter at Valley Forge. As a Colonel he commanded the 4th Mass. Infantry Regiment, part of Brig. Gen. John Glover’s Brigade. He commanded the 4th Inf from 1777 to 1783. During the course of the war he served in about twenty-two battles. He was honored by Gen. (Marquis de) La Fayette. * Lt. Col. Benjamin Flagg (1723-1819): Uncle of Lois Rice, daughter of Absalom & Elizabeth (Flagg) Rice. Lois was married to Nathan Hastings. Benjamin served on many important committees during the war. He entered the war as a Capt. and in 1777 he was promoted to Lt. Col.
Maj. Samuel Hastings (1757-1834): Son of Samuel & Lydia (Tidd) Hastings of Lincoln, Mass. “He was present at Lexington Common (under the command of Capt. John Parker) on the l9th of April 1775 (the first engagement of the Revolution). As soon as it was understood that the Colonies had organized an army to oppose the British he volunteered to join the 12th Continental Regiment, and was chosen one of General Lee’s life guard, and was taken prisoner with him at Long Island (Maj Gen Charles Lee is a very controversial figure in American history—a very effective general, and a pragmatic one as well. He decided the Revolution was doomed to fail and helped the British in an effort to bring it to a quicker end. He was later court-martialed by Gen Washington).” Samuel was later released and soon was appointed Major of the Lexington Artillery. He was buried, among his ancestors; at the old graveyard in Lexington. Capt. Mosses Cutter (1760-1820): He served with New Hampshire forces throughout the Revolution and was honored to serve as party of Gen. Washington’s bodyguard for a time and toward the end of the war he escorted the General to Mount Vernon. Around this time or perhaps after the war’s conclusion, he was commissioned a Captain, and commanded the Jaffrey Company, 12th New Hampshire Militia. Capt. Benjamin Hastings (1820-1808): Husband of Abigail Sawtell and they lived together in Bolton, Mass. Commanded a company of Lancaster Minutemen in Col. Whitcomb’s Regiment. Descent from Thomas the immigrant, if any, not yet established. Capt. Charles Hastings (1760-1860): Husband of Anna Woods. Served in the Mass. Militia. He fought in the Burgoyne campaign and at the Battle of Rhode Island. He later served under Gen. Lafayette. Descent from Thomas the immigrant, if any, not yet established. Capt. Enoch Hastings (1746-1812): Husband of Sally Anderson. From Lancaster County and served in the Pennsylvania Militia. Not descended from Thomas the immigrant. Capt. John Hastings (1754-1839): Husband of Lydia Dana. Served in the Mass. Militia. Not Descended from Thomas the immigrant. * Capt. Josiah Warren (1748-1797): Son of Phineas & Grace (Hastings) Warren. He served as an Artillery Commander at Bunker Hill. Capt. Samuel Hastings (1735-1823): Son of Nathaniel & Esther (Perry) Hastings of Shrewsbury & Boylston, Mass. Served with the Massachusetts Militia. Capt. Sylvanus Hastings (1721-1806): Son of John & Hannah (White) Hastings of Hatfield, Mass. and Charlestown, N.H. Husband of Jemima Willard. A veteran of Bunker Hill, he also served in the New Hampshire Militia. Buried in Charlestown. Oliver Hastings, M.D. (1762-1823): Son of Sylvanus & Jemima Hastings above. Served in the New Hampshire Militia. His military service continued after the war and in 1817 he was appointed Major General, commanding the 3rd Division. Buried at Charlestown, N.H.
Seth Hastings, Sr., M.D. (1745-1830): Son of Hopestill Hastings of Hatfield, Mass. Served as a Doctor in the Conn. Militia. Brother of Elihu (see below). Interred at Kirkland Ave Cemetery Clinton, New York. Lt. Benjamin Hastings (1728-1806): Husband of Mary Porter. Son of Benjamin & Prudence (Smith) Hastings. Served in the Mass. Militia. Buried in High Street Cemetery, Greenfield, Mass. * Lt. Josiah Moore: Husband of Mary Hastings, daughter of Seth (see above) & Hannah (Soden) Hastings. Lt. Aaron Willard (1743-1817): Son of Lt. Moses & Susanna (Hastings) Willard of Charlestown, N.H. He served as an officer during the Revolution. Ens. Abijah Hastings (1730-1826): Served as an officer in the Mass. Militia. 2Lt. John Hastings (1738-1802): Son of Daniel & Sarah (Ball) Hastings of Watertown, Mass. Served in the Mass. Militia. Ens. Josiah Hastings (1724-1810): Son of Thomas & Sarah (White) Hastings of Middlesex Co., Mass. Husband of Mary Hartwell. Served in the New Hampshire Militia. 1Sgt. Jonathan Hastings (1738-1804): Son of Benjamin & Prudence (Smith) Hastings of Hatfield and Greenfield, Mass.. Husband of Abigail Smith and Esther Smead. Served in the Mass. Militia. .
Sgt. William Andrews (c1750- ): Father-in-Law of Simon Hastings (1771-1840), son of Simon & Sarah (Coolidge) Hastings. Simon married Mindwell Andrews. Her father, Sgt William, served as a Non-Commissioned Officer (NCO) in the Continental Army. Sgt. Nevinson Hastings (1756-1835): Son of Moses & Abigail (Taylorro: Brookfield, Mass. He served in the Mass. Militia for three years and fought at the Battle of Bunker Hill. Cpl. Jonathan Hastings (1752-1822); Son of Walter & Mary (Thompson) Hastings of Cambridge, Mass. Husband of Hannah Shaw. Served in the Mass. Militia. He was probably not a descendant of Thomas the immigrant. * Pvt. William Symes Ashley (1756-1846): Husband of Clarissa Willard, daughter of Lt. Aaron Willard above. Pvt. Augustus Coolidge (c1758-? ): Son of Henry & Phebe (Dana) Coolidge of Brighton, MA. He served with Capt Samuel Patch’s Company, Col. William Prescott’s Regiment. Pvt. Andrew Hastings (c1738-1794): Son of Levi & Edith (Farr) Hastings. He served the 6th Company of Co. Ashley’s New Hampshire Militia. Pvt. Daniel Hastings, jr. (1732-1807): Brother of 2Lt John. Served in the Mass. Militia. Pvt. Elijah Hastings (1753-1803): Enlisted under Lt. Eli Parker in the Mass. Militia. 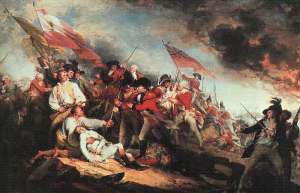 He was among the Minute Men who marched to Lexington and Concord on April, 19, 1775. Buried in West Cemetery, Amherst, Mass. Pvt. Henry Hastings (1758-1803): Son of Pvt. Daniel,Jr. He served in the Mass. Militia. Pvt. Nathaniel Hastings, Jr. (1738-1820): Brother of Capt. Samuel. He served in the Mass. Militia. Pvt. Silas Hastings (1746- ): Brother of Capt. Samuel. He served in the Mass. Militia. Pvt. Simon Hastings (1735-1785): Son of Benjamin & Mary (Taynter) Hastings of Watertown. He served in the Mass. Militia. He was a member of Capt. John Parker’s Company of Minutemen at Lexington, April 19, 1775. John Hancock and Samuel Adams were in the town at this time and fled only after being notified by Paul Revere that the British were on the way to capture them. John Hancock consulted with Capt. Parker before his Company’s fateful engagement with the British. Pvt. Zenas Hastings: Served during the war. See also War of 1812. Descent from Thomas the immigrant, if any, not yet established. Pvt. Abijah Jennison (1747-1830): Grandson of Hopestill & Elizabeth (Hastings) Mead. He served with the Mass. Militia. Jacob Brown (1763-1845): Son of David & Mindwell (Cummins) Brown of Charlton, MA. He was a descendant of William & Hepzibah (Hastings) Bond. ∩ * Joseph Coolidge (1730-1775): Brother-in-Law and distant cousin to Pvt. Simon (see above) and Samuel (see below). “Killed in the retreat from Concord, April 19, 1775. Joseph, who had been an ardent patriot, serving his country well during the years leading to the Revolution, was the only Watertown man to fall in defense of Concord and Lexington.” A monument to his sacrifice was unveiled in Watertown one hundred years later, April 19, 1875. He is listed among the “first martyrs in the cause of American liberty” (Vol. XVIII, Massachusetts Historical Collections). William Dix (1757 – aft. 1804): Son of James & Sarah (Bond) Dix of Middlesex Co., Mass. He was probably a soldier in the Revolutionary War. It is believed that he enlisted in Dunstable, Mass. and after the war settled in New York state. Jonathan Farnsworth (1754-1822): Son of Stephen & Eunice (Hastings) Farnsworth of Charlestown, N.H.. He settled in Vermont where he entered the Continental Army. Benjamin Hastings (1760-1835): Son of Lt. Benjamin above. He marched to Ticonderoga as a drummer boy in Capt. Timothy Childs Company, Colonel David Leonards Regiment. Elihu Hastings (1751-1837): Son of Hopestill & Lydia (Frary) Hastings of Hatfield, Mass., and Clinton, N.Y. Served in the New York Militia. He was interred at Kirkland Ave Cemetery, Clinton, New York. Jonas Hastings (1755-1846): Son of Joseph & Hannah Hastings of Shrewsbury. Nathaniel Hastings, Jr. (1745-1814): Son of Nathaniel & Esther (Perry) Hastings. Fought at the Bunker Hill and served in the Company commanded by Captain Davis. Samuel Hastings (1750-1834): Brother of Pvt Simon (see above). He served briefly as a courier for John Hancock and Gen. George Washington. A free passage document (signed by Hancock) was passed down to his daughter, Mary Ann Hastings. Eliphalet Warren (1757- ): Son of Phineas & Grace (Hastings) Warren. Moses Warren (c1759- ): Brother of Eliphalet above. Moses Willard (1738 – 1822): Son of Moses & Susannah (Hastings) Willard. He served with New Hampshire forces during the war. * Col. Josiah Snelling (1782-1829): Father of Dr. Josiah R. Snelling, Jr. who married Frances Emmeline Hastings, daughter of Dr. Seth & Huldah (Clark) Hastings. 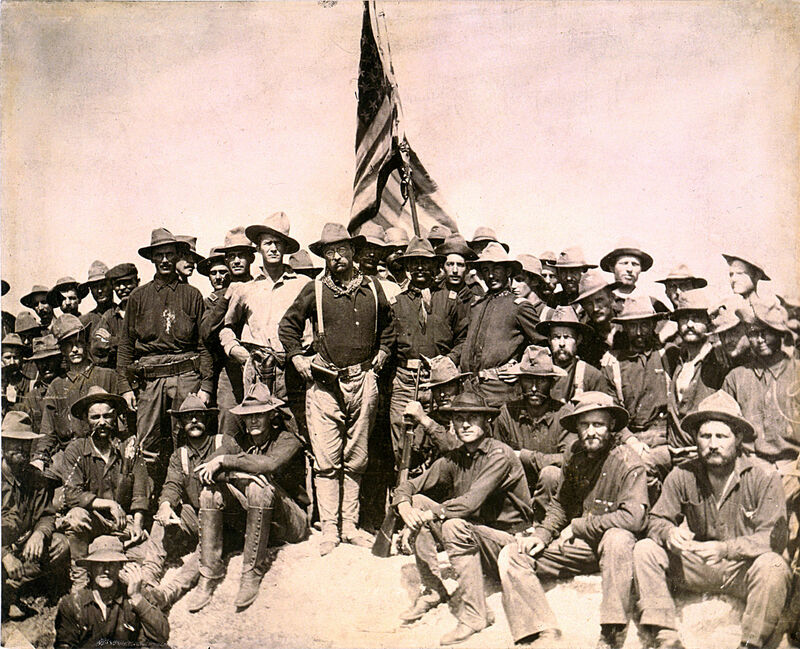 He served with distinction during the war al later commanded several outposts on the western frontier. “In 1824, Ft. Snelling, which was named in his honor by Gen. Winfield Scott, was completed under his direction (with the assistance of his subordinate Lt. Col. Henry Leavenworth).” During his career he served in the 4th, 5th and 6th Infantry Regiments—in 1819 he assumed command of the 5th Infantry, where he had been assigned as a young lieutenant. Col. William Wheeler (1782-1851): Grandson of Benjamin & Keziah (Hastings) Blanchard. He served as a captain and later colonel in the Vermont militia that operated in and around Portland, Maine. Lt. Col. Walter Hastings: He raised a Mass. regiment consisting of companies from the Mendon and Shrewsbury area and they served at, among other places, Ft. Warren. Descent from Thomas the immigrant unknown but considered unlikely. Maj. Jacob Brown (c1788-1846): Son of Jacob Brown above. He served in the U.S. military from 1812 until his death in 1846. Lt. Simeon Hastings: He served in Capt. Samuel Graves’ Company of Artillery, Lieut. Col. W. Edwards’ Regiment, 1st Brigade. He was among those “raised” in Worcester with service from Sept. 8 – Nov. 5, 1814. Not Descended from Thomas the immigrant. William Ashley (1788-c1878): Son of William Symes & Clarissa (Willard) Ashley and grandson of Lt. Aaron Willard above. Served in Capt. Dodge’s Company, Col. Fifield’s Regt. during 1812 and enlisted in Capt. Jonathan Prentiss, Jr.’s, Company, Col. Dixon’s Regt. in September 1813. Robert Collins Hastings (c1790-1824 ): Husband of Patience Brayton of Watertown, New York. He served as an officer in the New York Militia. Commanded soldiers at Sacketts Harbor. Not Descended from Thomas the immigrant. Seth Hastings, Jr., M.D. (1780-1861): Son of Dr. Seth & Eunice (Parmele) Hastings of Washington, CT, and Clinton, N.Y. Served as the Regimental Surgeon (officer) for the Regt of Militia of the County of Oneida (N.Y.), commanded by Lt. Col. Silvester Gridley, Esq. Sgt. Daniel Hastings: Son of Benjamin & Rebecca (Clarke) Hastings of Watertown, Mass. Husband of Rebecca Harrington (m. 4 Nov 1823 at Lexington). Served in Capt Moses Ames’ company of Mass. Militia. Cpl. Ebenezer Hastings: He served in Capt. S. Graves’ Company of Artillery, Lieut. Col. W. Edwards’ Regiment. He was among those “raised” in Worcester with service from Sept. 8 – Nov. 5, 1814. Descent from Thomas the immigrant, if any, not yet established. (?) Pvt. Asa Hastings: Served in Capt. Ira Drew’s company, 2lst US Infantry. SC-13897. Descent from Thomas the immigrant, if any, not yet established. Pvt. Lewis Hastings: A Vermonter who served in Lt William S. Foster’s company, 11th US Infantry Regt.. Service included at least the period from Jan. – Feb. 1813. Descent from Thomas the immigrant, if any, not yet established. (?) Pvt. Zenas Hastings: Served in the war. IF-27953. Descent from Thomas the immigrant, if any, not yet established. ∩ Symes Ashley (1796 -1812): Son of William Symmes Ashley above. Enlisted at age 16 and died shortly thereafter, probably a combat casualty. (?) Francis Hastings: Served in Capt. Daniel St. Johns’ company of N.Y. Militia. Descent from Thomas the immigrant, if any, not yet established. Ebenezer Hobbs (1794 – aft. 1850): Son of Elisha & Sally (Gale) Hobbs of Camden, Maine and grandson of Elisha & Lois (Hastings) Hobbs. He served at Camden during the War of 1812. Maj. Gen. Henry Hastings Sibley (1811-1891): Son of the Hon. Solomon Sibley. Born in Detroit, MI. He was the first Governor of Minnesota. Served as an officer with the Minnesota Volunteers and, in 1864, was breveted to Major General, U.S. Volunteers. Descent from Thomas the immigrant, if any, not yet established. Brig. Gen. Russell Hastings (1835-1904): Son of Col. Russell & Harriet (Thayer) Hastings of Greenfield, MA. Served with the 23rd Ohio during the Valley Campaign (1864) and Opequon, VA. Promoted to Brevet Brigadier in 1865. His Regimental Commander in the 23rd was Lt. Col. Rutherford B. Hayes (later President of the United States). Hayes preserved Hastings’ wartime papers and they can be seen at the Rutherford B. Hayes Presidential Center in Fremont, Ohio. Another fellow officer in the Regiment was (Brevet) Major William McKinley (25th President of the United States). Brig. Gen. Edward Hastings Ripley (1839-1915). Son of William & Betsy (Warren) Ripley of Rutland Center, Vt. He left Union College as a medical student to enlist as a Private in the 9th Vermont Infantry. Because of his ability to recruit, he was quickly promoted into the officer ranks. He was the captured with his company at Harper’s Ferry, West Virginia in September 1862. He didn’t return to active combat until the Fall of 1864. He was promoted to Brigadier General at the age of twenty five. For additional information there is a book about him entitled Vermont General: The Unusual War Experiences of Edward Hastings Ripley, 1862-1865, ed. Otto Eisenschiml (New York: Devin-Adair Company, 1960). Col. Lee Strickland (1806 – 1873): Son of Hastings & Sarah (Perley) Strickland of Livermore, Maine. He was instrumental in raising the 8th Maine Infantry Regiment and served as its first commander. His three sons also served as officers with Maine regiments during the war. * Col. Royal Emerson Whitman (1813 – 1913): Husband of Lucretia O. Whitman, his distant cousin. They were from Turner, Maine. He served as a Sergeant Major with the 23rd Maine Volunteer Infantry Regiment and eventually rose to Colonel in the 30th Maine by 1865. * Col. Lorin Andrews (1819-1861): Husband of Sarah Rebecca Gates, daughter of Simon S. & Sarah (Hastings) Gates. “On the fall of Sumter, he immediately offered his services, and led to the Camp a company of his neighbors, the first company of volunteers from the state. He was soon commissioned a Colonel of the 4th Regt of Ohio Volunteers.” Sadly, he was stricken by “camp fever” not long after deploying with his unit. He returned home and died less than a month later (Sept 18, 1861). Col. George Seymour Hastings (1836- ): Son of George & Mary (Seymour) Hastings of Mt. Morris, New York. “On Aug 19, 1862, he obtained from the Governor of New York authority to recruit a company for the 24th New York Independent Battery of Light Artillery, then in the field. For over a year (during the progressive occupation of the South) he served as Judge-Advocate (he was a lawyer by training) of the Sub-District of the Albemarle, in North Carolina, and participated in several battles. On April 20, 1864, while on duty at Plymouth, N.C., with a small brigade, numbering about two thousand men, he was captured after a series of engagements, commencing on April 17, and resulting finally, after repeated repulses of the enemy, in a grand charge over our earthworks and defenses, and the capture of the entire garrison after several hours fighting within the defenses.” He was held in confinement for several months at Macon, Georgia. He finally escaped (after three failed attempts), along with four other NY officers, to the hills of Tenn. After 34 days on the run, they reached Union lines near Knoxville. Col. Smith Hastings among fellow officers. Col. Smith H. Hastings (1843-1905): Born in Quincy, Mich., son of Zina Henry & Angeline (Gordinier) Hastings. As a Captain he commanded Troop M, 5th Michigan Cavalry. His Brigade Commander (“The Michigan Brigade”) was George Armstrong Custer. He was decorated with the Medal of Honor, for actions at Newbys Crossroads, July 24, 1863, while under Custer’s command. Col. David Hastings Moore (1838- ): Son of Eliakim Hastings & Amy (Barker) Moore of Athens, Ohio. He served in the 87th Ohio Volunteers which was later combined with the 125th Regt. This unit was dubbed the “Ohio Tigers” at the Battle of Chickamauga. He later commanded the Regiment during the Atlanta Campaign in the final stages of the war. How you can help save the Battlefield? Lt. Col. William Young Warren Ripley: Brother of Brig. Gen. Edward Hastings Ripley. He served with the 1st U.S. Sharpstooters. He won a Congressional Medal of Honor for combat performance at Malvern Hill, Va., on July 1, 1862. Maj. Hiram Smith (1819 – aft. 1894): Son of Rodney B. & Ashsah (Blodgett) Smith of Chautauqua Co., N.Y.. He was the Quartermaster officer with the New York Militia. Capt. Charles W. Hastings: He served with Company H, 12th Regiment, Massachusetts Voluntary Infantry. A photo of him exists at the US Army’s Military History Institute. He may be same person listed as Charles Worthington Hastings below. Link, if any, not yet established. ∩ Capt. Christopher Sawyer Hastings (1815-1863): Son of Ephraim & Achsah (Sawyer) Hastings of Boylston, Mass. “Volunteered his services to his country, Aug 1, 1862; was at the Battle of Fredericksburg; went with the 9th Army Corps to Vicksburg, and shared in the capture of Jackson, Miss. Here he had the small-pox. Recovering from this, and on his way to Kentucky, he was seized with malaria fever, contracted in the swamp of Miss., and died at Mound City Hospital, Illinois. His body was interred at Berlin (Mass.) with full military honors. How you can help save the Battlefield? Capt. Walter Hastings (1839 – aft. 1912): He served with the 12th Illinois and in Company D, 96th Regiment, Illinois Voluntary Infantry. A wartime bust image of him exists at the US Army’s Military History Institute. This is believed to be Capt. Walter W. Hastings, son of Gardner & Judith (Warren) Hastings. Capt. Horace Hobbs (1831 -1907): Son of George & Calista (Beaman) of Sterling, Mass. He commanded Company H, 51st Regt. of Mass. Volunteers. * Capt. Jay Lee: Husband of Harriet Lansing Hastings, daughter of George & Mary (Seymour) Hastings. He served in the N.Y. Militia. Enoch Adams, M.D. (1829 – 1900): Son of Enoch & Lucy (Strickland) Adams of Oxford Co., Maine. He was the Regimental Surgeon for the 14th Maine. Frank Hastings Hamilton, M.D. (1813-1886): Son of Calvin & Lucinda (Hastings) Hamilton of Wilmington, Vermont. “At the beginning of the Civil War he accompanied the 31st New York Regt to the front, and had charge of the general field hospital in Centreville during the first battle of Bull Run. For nearly two years he remained in the army, being promoted several times, but he resigned in Feb 1863 and returned to his duties in Bellevue Hospital Medical College, where he had been appointed Professor of Military Surgery.” How you can help save the Battlefield? Rev. Lewis Merwin Hobbs (1824-1901): Son of Joseph Hastings & Rachel (Merwin) Hobbs of Delaware Co., N.Y. He descended from Thomas Hastings1 via his son John2. He served as the Staff Chaplain for the 3rd Regiment, U.S. Colored Infantry from December 1863 – October 1865. The latter part of his service was spent in the Union occupation force in and around Jacksonville, Florida. He remained there after the war and was appointed as an Assistant State Superintendent for Education (for Florida) by the U.S. Bureau of Refugees, Freedmen and Abandoned Lands. In January of 1866, he was appointed by the Governor of Florida as Superintendent of Colored Schools. He lost this position after testifying in February 1866 before the first session of the 39th United States Congress, Joint Committee on Reconstruction. His liberal views on race issues were at odds with the governors. * Rev. James Nichols (1818-1864): Husband of Sarah Jane Hastings, daughter of Ephraim & Lucy (Shepard) Hastings and grand-daughter of Maj Gen Shepard (see above). Rev. Nichols was the Chaplain (officer) for the 108th New York Regt of Volunteers. During his service he contracted disease and died, Jan 1864. 1Lt. Thomas J. Hastings: He served in Company C, 15th Regiment, Massachusetts Voluntary Infantry. A photo of him exists at the US Army’s Military History Institute. Link, if any, not yet established. 1Lt. John William Fairbanks (1843 – 1930): Son of Jonathan Hastings & Elize (Mellen) Fairbanks of Westborough, Mass. He enlisted in Company D, 1st Massachusetts Volunteers and was wounded at the Battle of Williamsburg, Virginia, in 1862. He was discharged and after lengthy recuperation he was commissioned as an officer in the 86th U.S. Colored Infantry until the until was disbanded at Port Hudson, Louisiana, near the end of the war. Lt. John Farnsworth Cutter (1841 – 1881): Son of Orlando & Sarah (Hillard) Cutter of Ohio. He was the Adjutant of the 53rd Ohio Infantry. * Lt. John Habberton (1842 – 1921): Husband of Alice Lawrence Hastings, daughter of Dr. P.M. & Jane (Sheldon) Hastings of New York. He enlisted (May 1862 in the 13th N.Y. Militia Regt. He later reenlisted in the lst N.Y. Mounted Rifles where “he was a brother sergeant of Charles H. Hastings and Frederick G. Hastings”(see below). In Jan of 1864, he was commissioned and reassigned to the 20th Colored Infantry. He went on to become a newspaper man and author of the “widely popular” Helen’s Babies (1876). Lt. Henry Hastings Hunt (1842 – 1894): He served with the First Maine Battery of Light Artillery and fought with it at Second Bull Run and Gettysburg. He was from Gorham, Maine. Link, if any, not yet established. Lt. Augustus Henry Strickland (1838 – aft. 1870): Son of Col. Lee Strickland (above). He served under his father as Quartermaster of the 8th Maine Volunteer Infantry Regiment. Lt. Charles Lee Strickland (1839 – ? ): Son of Col. Lee Strickland (above). He served as a line officer in Company D, 4th Maine Volunteer Infantry Regiment. Lt. Isaac Strickland (1831 – aft. 1870): Son of Col. Lee Strickland (above). He served as Quartermaster for the 6th Maine Volunteer Infantry Regiment. Myron Smith (c1823 – aft. 1891): Brother of Maj. Hiram (see above). He was an officer in the 3rd Wisconsin Cavalry. Daniel Ashley Dickinson (1839 – 1902): Son of Wright S. & Martha (Jennison) Dickinson of Hartland, Vt. He served as an Assistant Paymaster on the US Navy gunboat “Thomas Freeborn” from 1863-1865. George Upham (c1839- ? ): Son of John W. & Seraphine (Howe) Upham of Worcester Co., Mass. He served as a Naval officer and half-brother of Charles below. First Sergeant Henry C. Hastings (1844-1934): Son of Lambert & Martha (Holton) Hastings of Saint Johnsbury, Vt. He enlisted as a private, December 1863, in Company A, 1st Vermont Heavy Artillery. He completed his service as a First Sergeant, Veteran Reserve Corps, and was mustered out on September 15, 1865. QMSgt. Andrew J. Hastings: He served in Company H, 1st Regiment, NH Volunteer Heavy Artillery. A photo of him exists at the US Army’s Military History Institute. Link, if any, not yet established. 1st Sgt. Horace Nutter Hastings (1829-1904): Brother of Sgt George (see above) and Benjamin (below). Served with the 5th Massachusetts (as an Orderly Sergeant) and 11th Massachusetts Infantry from Sept. 1864 to June 1865. He was present for the surrender at Appamatox. 1Sgt. James R. Hastings (?-? ): Served with Company E, 2nd Regiment, New York State Volunteer Heavy Artillery. A photo of him exists at the US Army’s Military History Institute. Link, if any, not yet established. Sgt. Freeman Fairbanks (1815 – 1896): Son of Isaiah & Martha “Patty” (Brocas) Fairbanks of Worcester Co., Mass. He served with Co. E, 4th H.A., Mass. Volunteers. Sgt. Chapin Hall Hastings (1843-1914): Son of Solomon & L. Minerva (Bostwick) Hastings. Served with Co. D, 112th New York Voluntary Infantry from Sept. 1862 thru June 1865. Link, if any, not yet established. Sgt. Charles Henry Hastings (1822-1892): Son of Charles & Martha (Barker) Hastings. Served with the 1st New York Mounted Rifles. Sgt. Frederick Guernsey Hastings (1843-? ): Son of Rev. Parsons & Mary Ann (Guernsey) Hastings. Served with the 1st New York Mounted Rifles. Sgt. George Henry Hastings (1841- ? ): Son of Charles & Mary (Frost) Hastings of Boston, Mass. Served in the 56th Mass. Regt. He was wounded at the Battle of Petersburg. Sgt. John Minot Hastings (1826 – 1864): Son of John Minot & Jane (Hudson) Hastings. He enlisted in the 53rd Mass. Infantry on Aug. 23, 1862 and later reenlisted and served with Company A, 57th Mass, was captured and became a POW in 1864. Presumably he was paroled because at least one source indicates that he died at Spotsylvania Court House, Virginia on May 12, 1864. For more information contact Bob Hastings at rh1066@aol.com. Cpl Charles Wesley Hastings (1847-1911): Son of Ephraim & Sarah (Parker) Hastings of Groton Center, OH. He served with Company G, 72d Ohio Volunteer Infantry and was present when his regiment particiapted in the battle of Brice’s Cross Roads, Miss., June 10, 1864. ∩ Cpl John F. Sluman (1829-1863): Husband of Sarah Hastings. He served with Company D, 96th Illinois and died Feb. 18, 1863. ∩ Cpl Charles Worthington Upham (1842-1861): Served with the 15th Mass. Infantry and was wounded and captured at the Battle of Balls Bluff near Leesburg, Va. He died in Richmond’s Libby Prison and was returned to Worcester County, Mass. for burial. Edward Hastings: He was an NCO and principal musician who served with Company K, 48th New York State Volunteers. Link, if any, not yet established. Pvt. Alonzo Annas (1838-1924): Son of Thomas & Hannah (Strickland) Annas of Washington Co., Maine. He served with the 1st Maine Cavalry. Pvt. George Putnam Dorr (1842 – 1905): Son of George & Sally (Putnam) Dorr of Vermont and Michigan. He served with the 1st Minnesota Engineer Regiment. Pvt. Joseph Hastings Fairbanks (1805 – 1875): Son of Isaiah & Martha “Patty” (Brocas) Fairbanks of Worcester Co., Mass. He served in Company K, 13th Mass. Volunteers. Pvt. James K. Gerome (c1843 -1864): Son of Jesse & Lois (Hobbs) Gerome of Delaware Co., N.Y. Served with the 144th N.Y. Volunteers and died from injuries sustained at the Battle of Honey Hill, S.C.
Pvt. Albert Gilford Hastings (1832 – 1894): Son of George W. & Sarah (Willis) Hastings of Suffield, Ct. Served with 31st Iowa Volunteer Infantry Regiment as a hospital steward. Pvt. Andrew Jackson Hastings: (1845-1916): Son of Ephraim & Sarah (Parker) Hastings of Groton Twp., Erie Co., Ohio. He served with Company K, 128th Ohio Volunteer Infantry and as a guard at the Union prison camp at Johnson Island, OH. Pvt. Amos Hastings: (1828 – ? ): He was born in Grantham, NH, and served with the 2nd Regt. of US Sharp Shooters of Newport, N.H. He was mustered out in Sept. 1863 due to lameness. Descent from Thomas the immigrant not established or likely. ∩ Pvt. Charles S. Hastings (c1842 -? ): Son of Alvah & Ruth (Edwards) Hastings. He was a cutler from Deerfield, MA. He enlisted in Company K, 20th Mass. Infantry on September 4, 1861. He was killed at the battle of Fredricksburg. Descent from Thomas the immigrant, if any, not yet established. How you can help save the Battlefield? ∩ Pvt. David L. Hastings (1842 – 1864): Probably son of Jefferson & Lydia (Lord) Hastings. Served in Company E, 3rd Vermont Infantry. He was killed at the battle of Brandy Station and buried at nearby Culpepper, Va.
Pvt. Edgar A. Hastings (c1840 – 1909): He was probably from Waitsfield, Mass. and served with Company B, 13th Vermont Infantry. He died at S. Lawrence, Mass.. Link, if any, is unknown. Pvt. Edson Hastings (1841-1908): Son of Richard Carey & Mary Ann (Spoor) Hastings of Lorain Co., Ohio. He served with Battery E, 1st Regiment of Ohio Volunteer Light Infantry. He may also have served with Battery B.
Pvt. Elias Oliver Hastings (1830-1913): Son of Lemuel & Hannah (Holton) Hastings of St. Johnsbury, Vt. He enlisted in 1862 and served primarily with Company H, 36th Regiment of Massachusetts Infantry. He mustered out of Company C of the 36th on June 8, 1865, at North Alexandria, Va.
Pvt. Flavel J. Hastings (c1843 – aft. 1913): He was from Middlesex, Vt. He enlisted on Dec. 4, 1863 and served in Company C, 1st Vermont Volunteer Cavalry. He later transferred to Company A. Descent from Thomas the immigrant, if any, not yet established. Pvt. George Hastings (c1843 -? ): “Boatman from Worcester, Mass.” Mustered into Company H, 2nd Mass. Heavy Artillery on August 6, 1864. He deserted at New Bern, N.C., on September 7, 1864. Descent from Thomas the immigrant, if any, not yet established. Pvt. George A. Hastings (c1839 – ? ): A cutler of Deerfield, Mass. He enlisted in Company K, 20th Mass. Infantry on September 4, 1861. He transferred out of the 20th. Descent from Thomas the immigrant, if any, not yet established. Pvt. Henry C. Hastings (1840 – 1929): Son of Jonas & Almira (Jones) Hastings of Concord, Mass. Served with Company H, 70th New York Infantry. He fought at several major battles to include “Second Manassas,” “The Wilderness,” Gettysburg, Spotslyvania and Coal Harbor. He was discharged on 22 June 1864. He and his wife spent most of their lives in Utica, N.Y., where he died and is buried. Pvt. James Hastings (? – ? ): Served with Company A, 2nd New York Volunteer Heavy Artillery. A photo of him exists at the US Army Military History Institute. Pvt. John S. Hastings: Served with Company F, 34th Illinois Infantry. He was probably from Daysville, Ill. A photo of him exists at the US Army Military History Institute. Link, if any, not yet established. ∩ Pvt. Lyman H. Hastings (1841 – 1863): He served in Co. G, the 36th Massachusetts Infantry. He died at Falmouth, Virginia and was buried at home in Boylston, Mass. ∩ Pvt. Russell Hastings (? – 1864): Served with Company C, 57th Mass and died, probably of disease, at Washington, D.C. Link, if any, not yet established. Pvt. Samuel H. Hastings: Served with Company H, 53rd Mass. Regiment (consisting of men from Hubbardston, Phillipston, Warwick, and Winchendon). Link, if any, not yet established. Pvt. Sidney B. Hastings (1818 – 1906): He was from Middlesex, Vt. and was possibly father or brother of Flavel. He served in Company C, 1st Vermont Volunteer Cavalry. Link, if any, not yet established. Pvt. Thomas A. Hastings: Served with Company M, 102nd Regiment, Pennsylvania Volunteer Infantry. A photo of him exists at the US Army Military History Institute. Link, if any, not yet established. Pvt. Waitstill Alonzo Hastings (1836-1884): Son of Waitstill & Permelia (Carr) Hastings. He served with Company K, 21st Ohio Volunteer Infantry and was captured at the battle of Chickamauga. He was held prisoner at Danville, Va., until he escaped on 1 July 1864. How you can help save the Battlefield? ∩ * Pvt. Charles Person (c1841-1861): Brother of Maryette Elizabeth Person, wife of Almon Woodard Hastings of Jamaica, Windham Co, Vt.. He enlisted in Company I, 4th Regt. of Vermont Volunteers and died of Typhoid at Camp Griffin (near McClean), Va., on Nov. 29, 1861. Pvt. Peter Osgard Pierce (1843-1864): Son of Charles & Mary (Strickland) Pierce of Maine. He served with the 102nd Illinois Volunteers and died from wounds received near Resaca, Georgia. * Everett L. Abbott (1834-1924): Son of Lucius & Esther (Goddard) Abbott and nephew of William & Susan (Goddard) Hastings. Served with the Vermont Volunteers. * Ora S. Abbott (1835-1920): Brother of Everett (above) and George (below). Nephew of William & Susan (Goddard) Hastings. Served in Company H, 6th Mass. Volunteers. * George Tyler Abbott (1843-1903): Brother of Everett and Ora. Nephew of William & Susan Hastings. Served in Company I, 4th Vermont Infantry. John Emerson Anderson (1833- ): Son of John M, & Parney H. (Hastings) Anderson of West Boylston, Mass. He was a nephew of Lewis M. (see above) and Lemuel G. (below). Served two terms 2nd Regt of Mass. Volunteers. ∩ Orange Ayers (1831 – bef. 1865): Son of James & Sally (Hastings) Ayers of Bakersfield, Vt.. He joined late in the war and died in a confederate prison. ∩ Elias Hastings Bennett (1840-1862): Son of Elias Dexter & Almira (Wellington) Bennett of Brighton, Mass. He was killed during the Second Battle of Bull Run while serving with Company C, l3th Regt. Mass. Volunteers. He was interred on the field. How you can help save the Battlefield? Enoch Abel Brackley (1835 – 1906): Son of Abel & Sarah (Merrill) Brackley of Maine. He enlisted in Aug. 1862 with Co. C, 16th Maine Infantry and later served Co. L, 1st Maine Cavalry. In 1864 he was listed as sick and may have deserted in 1865. Franklin Winthrop Chenery (1843 – 1872): Son of David & Caroline (Homer) Chenery of Middlesex Co., Mass. He enlisted in the 44th Mass. Regt. but served only nine months. He is reputed to have died from lingering maladies related to the war. ∩ Marcus M. Coolidge (1839-1861): Son of Charles & Nancy (Spaulding) Coolidge of Westminster, MA. He was killed at the battle of Booneville, Mo. on June 17, 1861. ∩ William Coolidge: Son of Jonathan & Harriet (Neel) Coolidge of Waltham, Mass., Mobile, Alabama and Mississippi. It is believed that he fought in the Civil War and, if so, probably for the Confederacy. He died during the war. His father left New England and moved to the South where he prospered and owned slaves. John B. Craft, Jr. (1831 – bef. 1893): Believed to have served with an Indiana unit during the Civil War. George Gardner Cutter (1843 – aft. 1880): Son of Charles & Mary (Hoyt) Cutter on New Hampshire and New York City. He served in the Union Navy. Orlando Phelps Cutter (1824 – 1884): Son of Orlando & Phyana (Phelps) Cutter of Ohio. William Leman Cutter (1835 – 1880): Son of Orlando & Sarah (Hillard) Cutter of New Hampshire and later Ohio. He is believed to have served with Ohio forces during the Civil War and at some point late in the war was captured and imprisoned at Andersonville. Andrew Cutting (1840 – ): Son of Gilbert & Mary Adaline (Hastings) Cutting of Boston. Served as a Quarter-Master clerk with the 44th Regt of Mass. Volunteers. Captured, with most of his unit, on April 20, 1864 at Plymouth, NC, and spent the remainder of the war at Andersonville prison. * Austin Hastings Cutting (1839 -? ): Son of Thaniel & Elmira (Hastings) Cutting. Served briefly in the 13th Mass. Volunteers at Ft. Warren. Ansel Hastings Dodge (1837 – 1882): Son of Samuel & Margaret (Hastings) Dodge of New York and Wisconsin. Served with Iowa forces during the Civil War. Albert Dougherty (1831 – aft. 1900): Son of Isaac & Alice (Millett) Dougherty of Maine. Served with Company I, 12th Maine Infantry. Almer Rawson Fairbanks (1841 – 1898): Son of Freeman & Melinda (Stearns) Fairbanks of Worcester Co., Mass. He served with Company I, 61st Mass. Volunteers at the Battle of Petersburg in April 1865, Virginia. George Warren Fairbanks (1846 – 1929): Son of Freeman & Melinda (Stearns) Fairbanks of Worcester Co., Mass. He served with Company F, 2nd H.A., Mass. Volunteers. Henry Atwood Fairbanks (1843 – 1936): Son of Freeman & Melinda (Stearns) Fairbanks of Worcester Co., Mass. He served with Co. K, 13th Mass. Volunteers at Antietam where he was severely wounded. ∩ Hollis H. Fairbanks (1839-1861): Brother of Almer, Henry, George and Willard (above & below). He was killed at the Second Battle of Manassas (Bull Run) on August 30, 1862. Willard Woodward Fairbanks (1846 – aft. 1897): Son of Freeman & Melinda (Stearns) Fairbanks of Worcester Co., Mass. He served in Company E, 4th H.A., Mass. Volunteers. Charles Edwin Fay (1840 – aft. 1865): Brother of Sarah Fay. He served in the 21st Mass, for eighteen months and fought in several engagements. The Regiments first battle was fought at New Berm, North Carolina. They went on to fight at Antietam (Sept 1862), as part of Maj. Gen. Samuel D. Sturgis’ Division and Gen Ambrose E. Burnside’s 9th Corps. In the aftermath of this horrendous battle,”boy’s from the 21st carried their wounded into a farmhouse where an energetic young woman named Clara Barton (later to found the American Red Cross) had set up a dressing station.” How you can help save the Battlefield? * Luke H. Gilson (1819-1867): Son of Calvin & Mehitable (Partridge) Gilson of Chesterfield, N.H.. He was a Hastings descendant via his mother’s descent from John Hastings (2). Luke served with Company F, 14th New Hampshire Volunteers. * Daniel Goddard (1812-1894): Son of Enoch & Esther (Bliss) Goddard of Windham, Vt. Brother-in-Law of William Hastings, husband of Susan (Goddard) Hastings. He served with the Vermont Volunteers. * Elisha Waters Goddard (1842-1895): Son of Daniel (see above) and nephew of William & Susan (Goddard) Hastings. Served with the Vermont Volunteers. Frederick Hagar (c1845- ): Son of Truman & Martha (Hastings) Hagar of Framingham, MA. He served for nine months in the 45th Regt of Mass. Volunteers. ∩ George S. Hall ( ?-1861): Son of John S. & Abbie (Hastings) Hall. He served in the 36th Regt. Illinois Volunteers and was killed on the second day of the battle at Murfreesborough. Clarendon Harris (1836 – 1892): Son of Thaddeus & Mary (Dix) Harris of Cambridge, Mass. He served with the 45th Regt. of Mass. Volunteers. Thomas Robinson Harris (1842 – 1909): Brother of Clarendon above. He left Harvard to serve with the 44th Regt. of Mass. Volunteers only to return after the war and complete successive degrees culminating in a Doctorate of Divinity. Abel Bowers Hastings (1843-? ): Son of Joel & Almira (Bowers) Hastings. Served in the 13th Mass. Volunteers. ∩ Albert Smith Hastings (1840-1864): Son of Levi Moore & Mary Fay (Hastings) Hastings of Boylston, Mass. He was a first cousin of Ira B. Hastings. Served in the 21st Mass. Regt. He died a POW at Camp Nelson, Kentucky, in March 1864. Alfred Hastings: He served with Company C, 13th Illinois Infantry. He was probably from Sublette, Ill. Link, if any, not yet established. Aquilla Hastings: He served with Company A, 51st Illinois Infantry. He was probably from Chicago, Ill. Link, if any, not yet established. ∩ Artemus A. Hastings (1836 – 1864): He served with the 93rd New York Infantry. He was from Bolton and Horicon, N.Y. Artemus died at the Battle of the Wilderness where he was buried. He was the brother of James, Rufus and Joseph who served with N.Y. forces. Augustus Hastings: He served with both Company F and Headquarters Company, 126th Illinois Infantry. He was probably from Nokomis, Ill. Link, if any, not yet established. Azariah Hastings: He served with Company H, 18th Illinois Infantry. He was probably from Livingston, Ill. Link, if any, not yet established. Benjamin Franklin Hastings (1846 – ? ): Brother of Sgts George & Horace (see above). He served briefly at the end of the war with the Cambridge Home Guard. Calvin Hastings: He served with Comany A, 5th Illinois Cavalry. He was probably from Woodbury, Ill. Link, if any, not yet established. Charles Hastings: He served with Company H, 42nd Illinois Infantry. He was probably from Eaton Rapids, Mich. He may have been a son of Waitstill Jr. & Permelia (Carr) Hastings who moved to Eaton Rapids after the war and had a son named Charles. Link, if any, not yet established. Charles Hastings: He served with Company D, 133rd Illinois Infantry. He was probably from Upper Alton, IL. Link, if any, not yet established. Charles Hastings: He served with Company B, 12th Illinois Infantry. He was probably from Mendota, IL. Link, if any, not yet established. Charles Eliphalet Hastings (1844 -? ): Son of George & Dorothy (Temple) Hastings. He served in the 35th & 56th Mass. Regiments. Charles Worthington Hastings (1842- ): Son of Samuel W. & Louisa (Babbitt) Hastings of Brookfield, Mass. “Volunteered in a regiment of sharp shooters, October 1861. He was wounded at the battle of Chancellorsville, and lost his right arm.” How you can help save the Battlefield? Daniel Ephraim Hastings ( -1867): Probably the son of Ephraim & Sarah Hastings. At least one other source lists his parents as Dr. Waitstill & Lucinda (Wood) Hastings of Parkertown, OH, and claims that served with an unidentified Union unit from California. All of this is under active research by Julie Hastings-Barnes, a descendant and member of our Editorial Board. If you can contribute helpful information please contact email her at jimandjulie@barnesyard.net. Edward Hastings: He served variously with Company H & K, 23rd Illinois Infantry and Company G, 19th Illinois Infantry. He was probably from Chicago, Ill.. Some possibility that there may have been more than one by this name who served in these units. Link, if any, is not yet established. Edward Hastings: He served with Company K, 42nd Illinois Infantry. He was probably from Thornton, Ill.. Link, if any, not yet established. Edward Merton Hastings (1841-? ): Son of Joel & Almira (Bowers) Hastings of Marlboro, Mass. 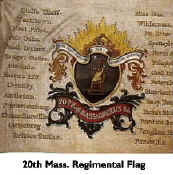 Served in Company I, 5th Regiment of Massachusetts Volunteers. Ezra Hastings: He served with Company G, 6th Illinois Cavalry. He was probably from Golconda, IL. Link, if any, is not yet established. Frederick Emmons Hastings (1841-aft 1899): Son of George & Mary (Seymour) Hastings of Mt. Morris, NY. He enlisted in the 24th Independent Battery of NY Artiller on 1 October 1861 and was mustered out in January 1864. George Hastings: He served with both Company G & K, 65th Illinois Infantry. Link, if any, is not yet established. George Hastings: He served with Company A, 16th Illinois Infantry. He was probably from Prairie City, IL. Link, if any, is not yet established. George Hastings: He served with Company C, 23rd Illinois Infantry. He was probably from Chicago, IL. Link, if any, is not yet established. Gustavus Hastings: He served with Company A, 74th Illinois Infantry. He was probably from Rockford, IL. Link, if any, is not yet established. H. L. Hastings: He served with Company H, 96th Illinois Infantry. He was probably from Mercerville, IL. Link, if any, is not yet established. Henry Hastings: He served with Company D, 4th Illinois Cavalry. He was probably from Caledonia, IL. Link, if any, is not yet established. Henry Baxter Hastings (1843 – ? ): He enlisted with Co. D, 27 Mass. Infantry on July 24, 1862. His brother Willard enlisted in that unit the year before. ∩ Henry Clay Hastings (1844 -1862): Brother of William (see above). He also served with the 16th Wisconsin at Shiloh. He died from his wounds, in the same hospital, twenty-one days later (April 29). ∩ Ira Budd Hastings (c1840 – 1864): Son of Luke & Eliza (Haslitt) Hastings of Maine. He served in both the 6th and 51st Mass. Regiments and was killed shortly before Christmas, 1864. He is buried at Hope Cemetery, Worcester, Mass. Ira C. Hastings: Served with Company B, 25th Illinois Infantry. He was probably from State Line, IN. Link, if any, not yet established. Isaac Hastings (1836 – ): Son of Samuel & Lucy R. (Reed) Hastings of Lexington, MA. He served with the Mass. Volunteers. J. Wood Hastings: Served during the Civil War and was afterwards active in the GAR Chapter (Jarvis Post No. 7) in Springfield, VT. He was elected the first adjutant of that chapter in 1868. Link, if any, not yet established. James Hastings: Served with Company A, 61st Illinois Infantry. He was probably from Woodville, Ill.. Link, if any, not yet established. ∩ James Hastings (c1829 – 1864): He served with Co. D, 118th New York Infantry and later the 14th Regiment . He was born in Canada but later from Bolton and Horicon, N.Y. He was the brother of Artemus, Rufus and Joseph who served with N.Y. forces. James is buried at Arlington National Cemetery. James Hastings: Served with Company G, 3rd Cavalry. He was probably from Normal, Ill.. Link, if any, not yet established. James L. Hastings: Served with both Company C and Headquarters Company, 85th Illinois Infantry. He was probably from Mason City, IL. Link, if any, not yet established. Jefferson or Jeff Hastings: Served with the 10th Illinois Cavalry. He was probably from Vandalia, Ill.. Link, if any, not yet established. John Hastings: Served with Company D, 110th Illinois Infantry. He was probably from Carbondale, Ill.. Link, if any, not yet established. John Hastings: Served with Company H, 35th Illinois Infantry. He was probably from Bond Co., IL. Link, if any, not yet established. John Hastings: Served with Company E, 78th Illinois Infantry. He was probably from Beverly, IL. Link, if any, not yet established. John Hastings: Served with Company A, 92nd Illinois Infantry. He was probably from Cadiz, IL. Link, if any, not yet established. John Hastings: He served with Company K, 94th Illinois Infantry. He was probably fro McLean County, Ill. Link, if any, not yet established. Jonathan Lovell Hastings (1821-1864): Son of Hezekiah Hooper & Mary (Lovell) Hastings of Worcester, MA. He served in the Mass. Volunteers. Joseph A. Hastings (1827 – ): He served with Co. D, 118th New York Infantry. He was born in Canada but settled at some point in Bolton and Horicon, N.Y. He was the brother of James, Rufus and Artemus who served with N.Y. forces. Joseph Chapin Hastings (c1820 – ? ): Son of Elisha & Abigail (Potwine) Hastings. He served with the forces of Massachusetts. Joseph Emmary Hastings (1822 – aft. 1865): Son of Joseph & Dolly (Andrew) Hastings of Shrewsbury, Mass. He served in the 51st Mass. Regt. He is buried at the Rural Cemetery, Worcester, Mass. Joshua Hastings: He served with Company H, 25th Illinois Infantry. He was probably from Tuscola, IL. Link, if any, not yet established. Maj. (C.S.A.) Lansford Warren Hastings (c1819-1870): Son of Dr. Waitstill & Lucinda (Wood) Hastings of Ohio. Lemuel G. Hastings (1822 – ): Brother of Lewis M. (see above). He served in Company I, 1st California Cavalry Volunteers. Lewis M. Hastings (1813 – ): Son of Nahum & Anna (Powers) Hastings of Oakham, MA. He served as a volunteer in the 9th Iowa Cavalry. Lovell Hastings: He served with Company C, 4th Illinois Cavalry. He was probably from Oswego, IL. Link, if any, not yet established. 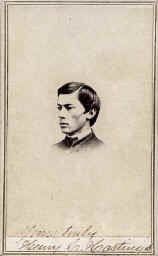 Marshall Hayden Hastings (1827 – 1899): Brother of Joseph (see above) and served with him in the 51st Mass. He is buried at Mountain View Cemetery, Shrewsbury, Mass. Matthew Hastings: He served with Company A, 25th Illinois Infantry. He was probably from Danville, Ill. Link, if any, not yet established. Nelson Hastings: He served with Company E, 134th Illinois Infantry. He was probably from Wauconda, IL. Link, if any, not yet established. Patrick Hastings: He served with Company G, 147th Illinois Infantry. He was probably from Maquoketa, IL. Link, if any, not yet established. Richard Hastings: He served with Company E, 143rd Illinois Infantry. He was probably from Vandalia, IL. Link, if any, not yet established. Rufus D. Hastings (1839 – ): He served with Co. A, 93rd New York Infantry and later Co. A, 4th U.S. Cavalry. He was from Bolton and Horicon, N.Y. He was the brother of James, Joseph & Artemus who served with N.Y. forces. Samuel Hastings: He served with Company A, 142nd Illinois Infantry. He was probably from Chicago, IL. Link, if any, not yet established. Samuel Hastings: He served with Company F, 25th Illinois Infantry. He was probably from Onarga, Ill. Link, if any, not yet established. Samuel Hastings: He served with Company I, 67th Illinois Infantry. He was probably from Chicago, Ill. Link, if any, not yet established. Scott Hastings: He served with Company B, 145th Illinois Infantry. He was probably from Bloomington, Ill. Link, if any, not yet established. Samuel Nelson Hastings (1816-? ): Son of Jonathan & Nancy (Adams) Hastings of Lincoln, Mass. Grandson of Maj. Samuel (see Revolution above). He served in Company A, 143rd Regt. of Illinois Volunteers, under the command of Gen. Washburn. ∩ Silas S. Hastings (1824-1863): Son of Sidney & Clarissa (Fitch) Hastings of Mass. & Ohio. He died shortly after the Battle of Vicksburg (most likely of wounds received) on July 7, 1863. Theophilus Hastings: He served with both Company G, 106th Illinois Infantry and Company B, 32nd Illinois Infantry. He was probably from Lincoln, Ill. Link, if any, not yet established. ∩ Thomas Hastings (1818-1862): Son of Reuben & Hannah (Puffer) Hastings. He served with the forces of Massachusetts and died of wounds received at the Battle of Antietam. How you can help save the Antietam battlefield? Thomas Hastings: He served with Company C, 104th Illinois Infantry. He was probably from Mendota, Ill. Link, if any, not yet established. Thomas Hastings: He served with Company H, 107th Illinois Infantry. He was probably from Bement, Ill. Link, if any, not yet established. Walter Hastings: He served with Company D, 96th Illinois Infantry. He was probably from Antioch, Ill. Link, if any, not yet established. Walter Hastings: He served with Company K, 12th Illinois Infantry. He was probably from Chicago, Ill. Link, if any, not yet established. Warren Hastings: He served with Company M, 9th Illinois Cavalry. He was probably from Chicago, Ill. Link, if any, not yet established. Willard Dwight Hastings: He enlisted with Company D, 27th Mass. on Sept. 27, 1861. His brother Henry B. also served with that regiment. He was buried at Windsor, Ct.
William Hastings (1845- ): Son of Thomas H. & Fanny (Loomis) Hastings. 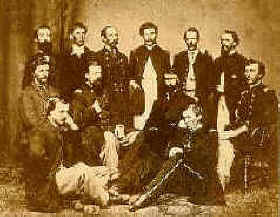 Enlisted, August 1862, in Company A, 46th Mass. He reenlisted in 1863 and joined the 2nd Mass. Regt of Heavy Artillery. William Hastings: He served with the 47th Illinois Infantry. He was probably from Logan, Ill. Link, if any, not yet established. William Hastings: He served with Company C, 110th Illinois Infantry. He was probably from Marion, Ill. Link, if any, not yet established. William Hastings: He served with the 138th Infantry. He was probably from Wenona, Ill. Link, if any, not yet established. William J. Hastings: He served with Company D, 59th Illinois Infantry. He was probably from Greencastle, Ill. Link, if any, not yet established. ∩ William Hastings (1839-1862): Son of David & Mary (Sprague) Hastings of Oconomowoc, Wisconsin. He served in the 16th Wis. Volunteers and died from wounds received during the battle of Shiloh. How you can help save the battlefield? * Charles Adams Jackson (1845- ): Son of Alden & Susan (Mills) Jackson of Portland, ME. He served in Company F, 13th Regt Maine Volunteers and fought at the battles of Mansfield and Pleasant Hills (May 1864). How you can help save the battlefields? *Solomon Krom (c1845-1888): Husband of Mary E. Hastings, daughter of Seth P.M. & Elizabeth (Burrtick) Hastings of Accord, NY. Served in the Civil War. ∩ Edwin Walker Pierce (1842 -1864): Son of Walker Hastings & Frances Anne (Hayward) Pierce of Boylston, MA. He served with Company C, 34th Regt. of Mass. Volunteers. Died of wounds received during the Battle of Winchester, Va. How you can help save the Battlefield? Walker Glazier Porter (1838 -? ): Son of Asaph King & Rachel (Glazier) Porter of Covert, New York. He enlisted in Sept 1862 and was later captured and held prisoner at Cahawba. He was one of the few survivors of the horrific Sultana Steamer explosion in 1865. Benjamin Proctor (1843 -? ): Brother of George (see below). He served in the lst & 45th Mass. Regiments. The 1st Mass. fought at Fredericksburg, Chancellorville, Gettysburg and during the Wilderness Campaign. How you can help save the Battlefield? George Burroughs Proctor, Jr. (1839 – ? ): Son of George Burroughs & Harriet Elizabeth (Glazier) Proctor of Middleborough, Vt. and Boston, Mass. He served with the 42nd Mass. Regt and was taken prisoner at Galveston. Charles Prouty (1844 – 1919): Son of Nathaniel & Elizabeth (Johnson) Proctor of Pennsylvania. He served with Pennsylvania units during the entire war. Martin VanBuren Prouty (1839 – 1923): Brother of Charles above. He served with Pennsylvania units during the entire war. ∩ Samuel Henry Russell (1849-c1864): Son of Samuel Henry & Lucy Lealand (Pierce) Russell of Boylston, Mass. First cousin of Edwin (see above). He served in the Mass. Volunteers and never returned home. Nathan Simonds (1838- ): Brother of William (see above). Served in the 10th Mass. Regt. William Simonds (1828- ): Son of Nathan & Mary (Morgan) Simonds of Northfield, Mass.. He served with the Mass. Volunteers at the Battle for New Orleans. * Augustus M. Staples (c1845- ): Husband of Mary Julia Hastings, daughter of Nathaniel & Ann Elizabeth (Packard) Hastings of Boylston, Mass. 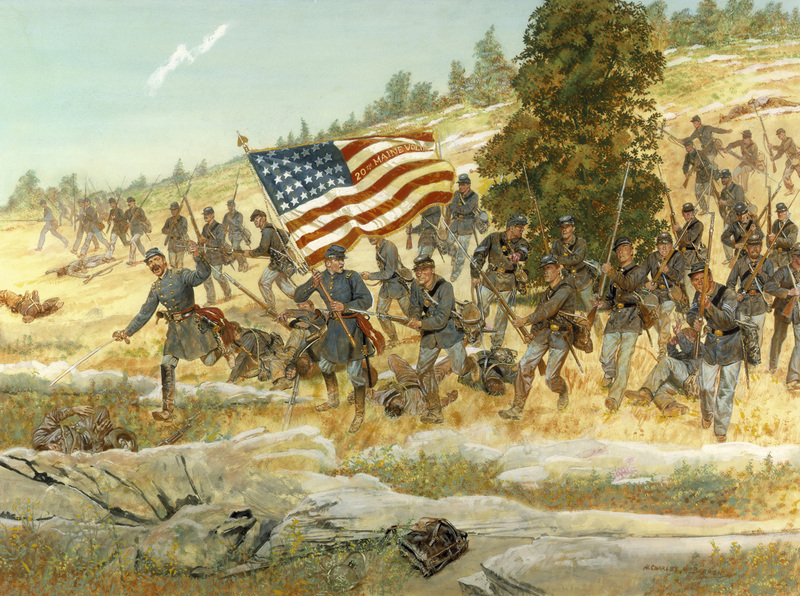 He was captured at Fredericksburg while a member of the 21st Regt of Mass. Volunteers. He spent 11 months as a POW at the infamous Confederate prison of Andersonville. How you can help save the Battlefield? * Samuel Emery Stevens (1824- ): Husband of Sarah Fay, daughter of Adam Howe & Julia Ann (Hastings) Fay of Fitchburg, Mass. Brother-in-Law of Charles (see below). He served in the 53rd Regt of Mass. Volunteers. He was a veteran of five battles. Daniel Strickland (1831-1864 ): Son of Daniel & Christiana (Pierce) Strickland of Maine. He was captured and imprisoned at Andersonville where he died. ∩ Henry Warren Townsend (1824-1865): Son of Warren & Almira (Bennett) Townsend of Lancaster, Mass. He served with the Conn. State Volunteers. He died of natural causes one day after the Battle of Murfreesborough, Tenn. How you can help save the Battlefield? Edward Francis Waite (1839- ): Son of Edward & Mary Hastings (Mills) Waite of Portland, Maine. He was wounded while serving with the 17th Regt. Maine Volunteers. William Harrison Wheeler (1841-1896): Son of Isaac Hastings & Sarah (Burt) Wheeler of Franconia, N.H. He served with Ohio forces during the war. * Royal Emerson Whitman (1813 – 1913): He was a Colonel at the end of the Civil War (see citation above). After the war, he rejoined the Army as a 2nd Lt. in the 3rd U.S. Cavalry. As a 1st Lt. he was in command at Camp Grant (aka Fort Breckinridge), Arizona, when a mob from Tucson attacked the friendly Indians quartered there in April 1871. President U.S. Grant was drawn into the controversy surrounding the massacre and demanded that the territorial governor take action. When the 100 or so assailants were finally brought to trial a year later they were acquitted by their fellow citizens in 19 minutes. Daniel A. Hastings: Probably from Wyoming. He served with the 7th US Cavalry from 1878 to 1883. Descent from Thomas the immigrant, if any, not established. Frederick G. Hastings: Probably from New York. He served with the 3rd US Artillery from 1870 to 1875. Descent from Thomas the immigrant, if any, not established. Henry Hastings: Served with the 2nd US Infantry. Descent from Thomas the immigrant, if any, not established. John C. Hastings ( -1916): Lived in Oregon. He served in the Washington Mounted Volunteers during the Oregon & Washington Indian uprisings. Descent from Thomas the immigrant, if any, not established. Matthew Hastings: Probably from Pennslyvania. He served in the Army as a Musician from 1885 to 1893. Descent from Thomas the immigrant, if any, not established. Millard F. Hastings: Probably from Arizona or Texas. He served in the Texas Frontier Battalion in 1882. Descent from Thomas the immigrant, if any, not established. Stephen Hastings: Probably from Alabama. He served with the Alabama Volunteers from 1837 to 1839. Descent from Thomas the immigrant, if any, not established. 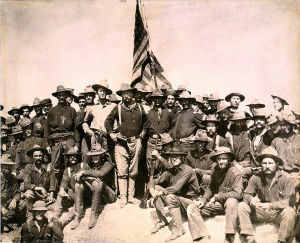 Col. Roosevelt with his “Rough Riders” on San Juan Hill, 1898. Charles Otis Bond (1870 – 1921): Son of Charles & Chloe (Crozier) Bond of Vermont and Iowa. After graduating from the U.S. Naval Academy at Annapolis, he served as a junior officer during the Spanish American War. Norman Hastings (1882 – 1940): Son of Frank & Marion (Compton) Hastings of Pennsylvania and Colorado. Served in the Philippines with the 1st Colorado Regiment of Volunteers during the insurrection.